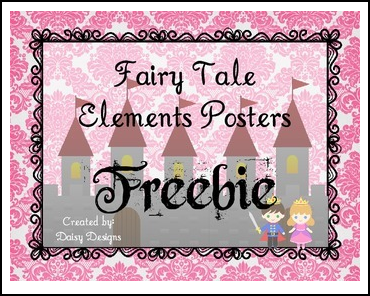 These are some posters I used in my classroom when we were discussing story elements in our unit on fairy tales! They helped tremendously when students were reading and writing and working on graphic organizers. Having them up on the wall really helped decorate the place, too! Included in the download are full color posters with cursive fonts, black and white posters with cursive font, and black and white posters with print font. And don't forget to check out my blog (Daisy Designs) and to follow me on Facebookand Pinterest !